To date, geography has not yet carved out a disciplinary niche within the diffuse domain that constitutes global health. However, the compulsion to do and understand global health emerges largely from contexts that geography has long engaged with: urbanisation, globalisation, political economy, risk, vulnerability, lifestyles, geopolitics, culture, governance, development and the environment. Moreover, global health brings with it an innate, powerful and politicising spatial logic that is only now starting to emerge as an object of enquiry. This book aims to draw attention to and showcase the wealth of existing and emergent geographical contributions to what has recently been termed ‘critical global health studies’. 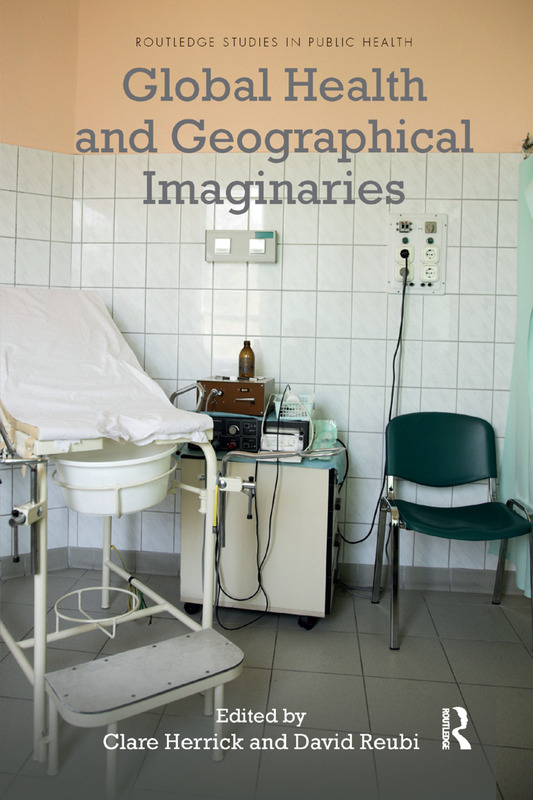 Geographical perspectives, this collection argues, are essential to bringing new and critical perspectives to bear on the inherent complexities and interconnectedness of global health problems and purported solutions. Thus, rather than rehearsing the frequent critique that global health is more a ‘set of problems’ than a coherent disciplinary approach to ameliorating the health of all and redressing global bio-inequalities; this collection seeks to explore what these problems might represent and the geographical imaginaries inherent in their constitution. This unique volume of geographical writings on global health not only deepens social scientific engagements with health itself, but in so doing, brings forth a series of new conceptual, methodological and empirical contributions to social scientific, multidisciplinary scholarship. Clare Herrick is a Reader in human geography at King’s College London, UK. Her research critically explores the intersections of behavioural risk factors with urban environments across a variety of geographic settings. David Reubi is a Wellcome Trust Fellow at the Department of Global Health & Social Medicine, King’s College London, UK. His research explores the knowledges, socialities and material forms that undergird the politics and practices of contemporary global health and medicine. He is currently working on a manuscript on the biopolitics of the African smoking epidemic.